Families come in all shapes and sizes. Luckily, so do ski holidays! With only one adult to keep on top of things, you might think a single parent family holiday would be a logistical nightmare. However, a sole parent ski trip is easier than you think once you have a few key basics in place. Getting some much-needed quality time away from the stresses of everyday life is a privilege all families should enjoy. 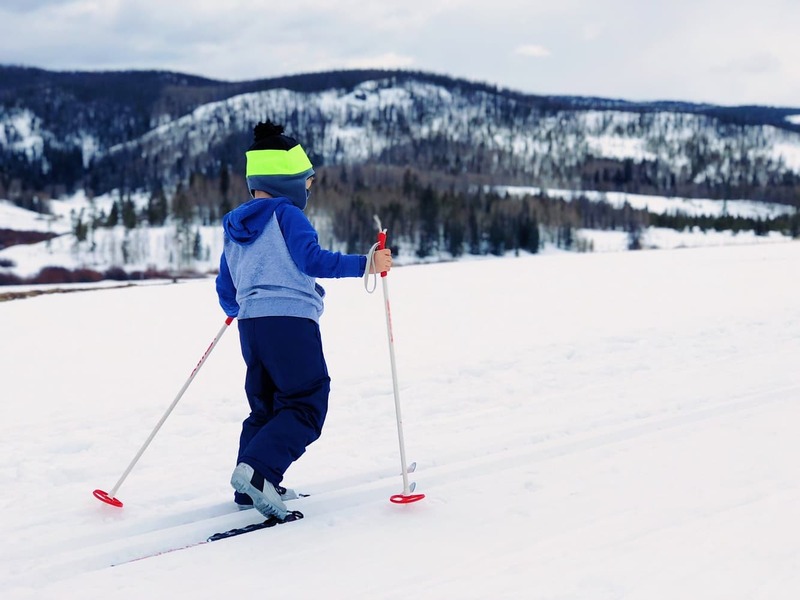 From the best child care, to travelling with children, we’ve been thinking of ways to make single parent ski holidays go like a dream. Follow these tips for a hassle-free holiday that will be treasured for years to come. The trouble with family ski holidays is that you’re limited to travelling within the school holidays when prices spike. However, there are ways to get around this. Not all school holidays are created equal. While February half time is choc-a-bloc with families, Easter tends to be a bit quieter (and cheaper!). The end of the ski season has its own benefits in terms of longer days and lower prices. Whichever holiday period you choose, you can guarantee you won’t be alone. There will always be other families to socialise with and the bustling atmosphere at the resort is infectious for adults and children alike! Finding a ski resort that is experienced at catering to families is key when planning a stress-free family trip. Luckily, many resorts throughout the Alps are clearly signposted as family-friendly. If you’re heading to France, look out for Famille Plus status ski resorts such as Meribel, Morzine, La Clusaz and Les Gets. This label means you can rest assured that they have all the facilities and services needed for a smooth family holiday. In terms of ski area, go for a resort with excellent nursery areas and plenty of blue and green slopes for budding skiers to get stuck into. Meribel is a great choice for younger children thanks to the themed children’s areas such as the Inuit village and the woodland wildlife area. The thought of packing for a single parent family ski holiday can be a daunting one. Although it’s tempting, try not to pack everything but the kitchen sink. Travelling with children seems to require several suitcases worth of stuff. Reduce the load by renting your ski equipment when you get there. This way, you won’t have to lug heavy ski gear through the airport which is especially difficult as the only adult! Alps2Alps have rental ski shops conveniently located throughout the Alps. Your transfer driver can take you there en-route to your ski resort to get fitted by expert ski technicians. This way you can save time and a whole lot of stress by avoiding the queues at the resort. Getting to your ski resort is your first challenge. Make your journey as smooth as possible by picking a resort with short travel and transfer times. It also helps to travel at sensible times of day so as not to disrupt sleeping patterns. If you’re a regular skier who prefers to ski with your own equipment, it’s worth leaving your skis at the Alps2Alps ski depot at the end of your trip. This way, you won’t have to worry about getting them back home and you can avoid hefty baggage fees too! It’s even free for Alps2Alps transfer customers! Top tip: Fill your hand luggage with snacks and distractions to make the time pass quicker! If you’re travelling as a single parent, you’ll probably be keen to socialise with other adults at some point during your trip. After all, it’s supposed to be a holiday for you too! One way to make meeting people easier is to stay in a shared ski chalet or chalet hotel. This way, you can chat to other families over communal breakfasts before heading out onto the mountain. Lots of family-oriented ski accommodations organise high tea for the children at an earlier time to give grown-ups a chance to get ready for a fancy dinner. Evening activities and experienced nannies are usually on hand to entertain the little ones so you can enjoy some adult conversation before bedtime! One of the great things about going on a ski holiday as a single parent is that you can pack your bundle of joy off to a day at a ski school for some much-needed alone time! 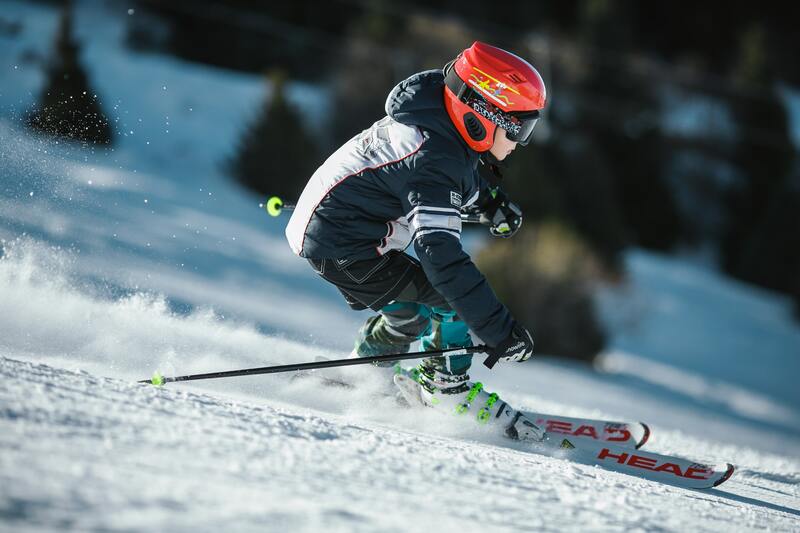 There are plenty of highly reputable ski schools throughout the Alps which offer group children’s lessons from a couple of hours to a full day on the slopes. With your little one in the safe hands of expert ski instructors, you are free to explore the more challenging slopes or chill out in the hot tub! The trick to getting the most out of a single parent ski holiday is finding the right balance between quality family time and some much-needed personal space. While the kids are busy at ski school, make the most of what the resort has to offer. From a spot of pampering at the spa to a well-earned drink at a local bar, the Alps are a great place to relax and unwind. In terms of family activities, most ski resorts in the Alps are home to swimming pools, ice rinks and other child friendly activity centres to keep you occupied and help make lasting memories together. One of the main concerns when planning a single parent holiday is how much it costs. Annoyingly, lots of package deals are geared towards two-parent families with deals quoting the price for two adults. One way to get around this is to do it yourself. Planning a DIY ski trip can actually save you money and gives you a lot more flexibility. Another way to find the best ski deals is to download the Alps2Alps ski transfer app. This will give you access to exclusive deals such as ’kids ski free’ and will keep all of your travel information in one handy place. It also lets you track your driver’s progress in real time and allows you to rent ski equipment at the touch of a button. When it comes to making the most of your single parent ski holiday, convenience is key. Make your next ski holiday one to remember with Alps2Alps. We can help with hassle-free ski transfers that transport you from the airport to your destination in comfort. From snacks and refreshments en-route, to picking up ski rentals on the way, booking a ski transfer with Alps2Alps is one way to make your single parent ski holiday go as smoothly as possible.